But at least some good news is that the same reader says the new public restrooms are now open. 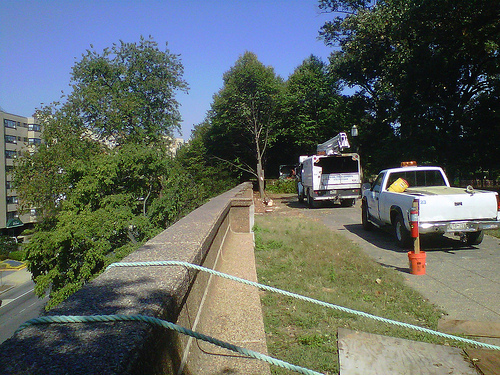 As a result of the work being done to make the wall structurally sound they are going to have to tear out some of the existing trees. They will of course replace them as soon as possible. 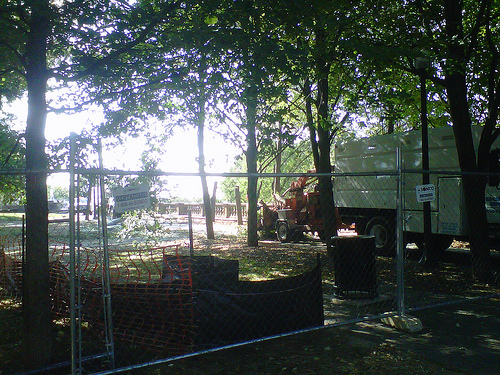 The trees will be taken out Monday, and that part of the park will look pretty bare for a while until the work is done.